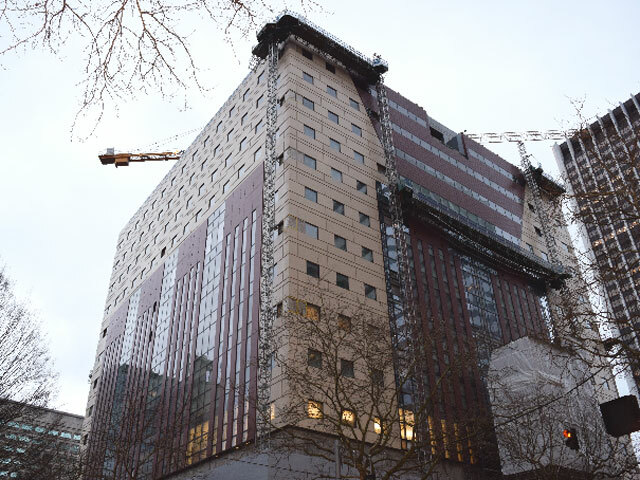 Progress continues on the overclad of Michael Graves’ post modern icon, The Portland Building. 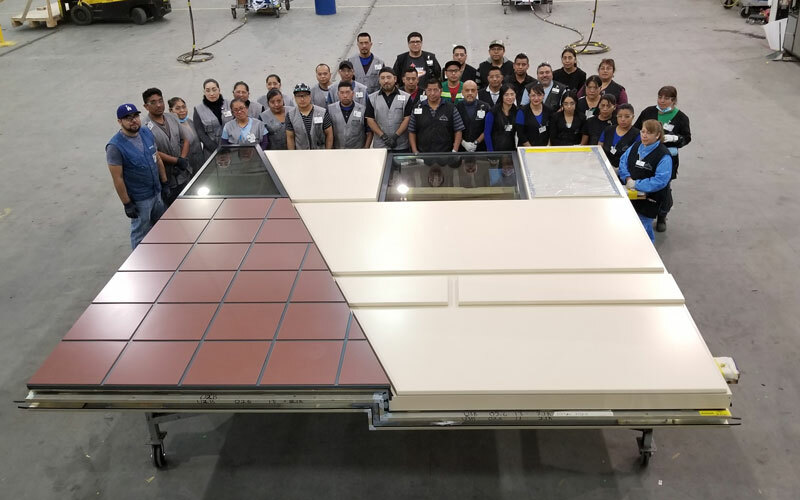 Benson’s Otay Mesa Assembly Facility completed the last of the 946 curtain wall units this month. Installation on the final two elevations continue with an estimated substantial completion date slated for Mid-April. Project Manager Melissa Johnson and Field Superintendent Charlie Graham have worked closely with our client Howard S Wright, A Balfour Beatty Organization coordinating the various trades working on this complex site. Click here to read our first post on the Portland building “First Curtain Wall Units are Being Installed on The Portland Building”.